With a philosophy focused on the development of the architectural design as a global product, that meets the wishes and needs of our customers, the office of Ivan Rezende Arquitetura has been working since 1982 in several areas where the intervention of the architecture professional is needed for the purposes of understanding and developing the space in a better way, the architectural object and its relationship with the surroundings. 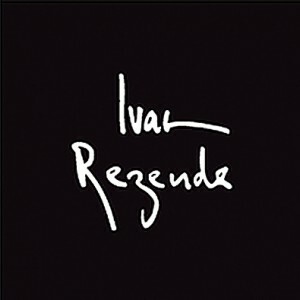 Creating projects in Brazil and abroad, the curriculum of Ivan Rezende Arquitetura includes awards of the Institute of the Architects of Brazil (Instituto dos Arquitetos do Brasil – IAB), Brazilian Association of Architecture Offices (Associação Brasileira dos Escritórios de Arquitetura- Asbea), Brazilian House Museum (Museu da Casa Brasileira – MCB), among others. University extension, PhD, in the Technical College of Architecture in the University of Navarra - Spain. Admitted in October, he worked at the BNH - Banco Nacional da Habitação (Brazilian National Bank of Habitation) as a professional intern (undgraduated scholar), and allocated to Regional Agency - AGR VI - Sub-Regional Works Inspection Management (Sub-Gerência Regional de Fiscalização de obras - SURFO.) During November, in view of the new structure put into effect in the BNH, he went to the Earth Mobilization Sub-Management - Project Examination Service, AG RJ-6220. In November / December, he was invited by the BNH Engineering Department to take part in the WORK GROUP, assigned by the President of the BNH, to survey the existing physical problems in Problem Projects. In October, he terminated his contract with the BNH due to the end of his graduation scholarship. He participated in the fields of supervision of works, project examination, evaluation and service to the borrower. Following the above activities, he opened his own architecture office - Ivan Rezende Arquitetura - where he develops projects both in the residential and commercial fields. He participated for the first time in the exhibit CASA COR, which takes place in Rio de Janeiro. Participation in the Móvel Sul exhibition in the V Salão Design - with Mesa Alice (Alice's Table), receiving an Honorable Mention and the IBAMA - Brazilian Institute of Environment and Renewable Natural Resources (Instituto Brasileiro do Meio Ambiente e dos Recursos Naturais Renováveis) Mention in the furniture for the social field category. Participation in the Equipotel exhibition in São Paulo as the responsible for the project of the company Novo Rumo. 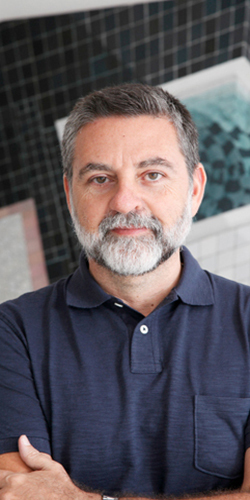 He became a professor of the Interior Design major at Escola Candido Mendes de Interiores (Candido Mendes Interior Design School), from Universidade Candido Mendes. Summit - Summit Meeting of the EU, Latin America and the Caribbean Heads of State, held in Rio de Janeiro. Invited by the Ministry of Foreign Affairs to create the main rug in the Presidency of the Republic Office, intended to welcome the heads of state. Participation in the Design Preview Exhibition, held at the D & D Mall, São Paulo, as a guest designer. He was awarded 2nd place in the Deca Award in the Bathroom Exhibit Category in the Bathroom created for the event Casa Cor Rio de Janeiro. He was awarded with the 1st place in the non-residential category with the Innovator's store in the 1st IAB - Institute of the Architects of Brazil / Interior Rio Design Center Awards. Participation in the Brazilian Culture seminar - CULTURE AND DICHOTOMY, at Universidade Candido Mendes, Rio de Janeiro, as a guest speaker. Participation in the National Interior Design Congress - Expo AMDI 2001- Ciudad de Mexico, as a guest lecturer in September. 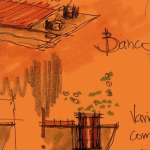 Participation in the "Brazilian Culture Live - Culture and Dichotomy" publication from Imago Publisher with the "Espaços Urbanos, Espaços Ocupados” (Urban Spaces, Filled Spaces) publication. Invited by the "Academia Nacional de Arquitectura de la Sociedad de Arquitectos Mexicanos Capitulo en Monterrey" for the July 15 Sesion Acadêmica, where he gave the lecture "Construccion del Vacio", along with the Architect Oscar Bulnes Valero as a commentator, AE-ANA, Museo de Historia Mexicana, Monterrey, Mexico. Participation in the NovoMuseu - Curitiba - inaugural exhibition "Uma História do Sentar - Entre, Sente, Fique à Vontade" (A Story of Sitting - Come in, Sit, and Make yourself Comfortable) - curator: Adélia Borges. 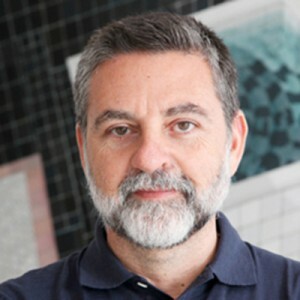 He received the RIOfazDesign 2002 Stamp, awarded by the Department for Planning, Development and Tourism of the State of Rio de Janeiro and the Industrial Design School of UERJ for the use of design as a means of economic and cultural development of the state of Rio de Janeiro. Product design work developed for Avanti Carpete. Awarded with the 2nd place in Espaço Duratex Creativity Award for the Fumoir space at the event Casa Cor Rio de Janeiro. Participation in the 18th Brazilian House Museum Design Award exhibition of the Brazilian House Museum, São Paulo, with the Bandeirola line, earning the 1st place in the furniture category. Participation in the IX Salão Design Móvel Sul 2004 design exhibition - with the Hum and Sinestesia tables, receiving the Ludic Project Award for Sinestesia. He began teaching at the School of Design of Universidade Veiga de Almeida, as a professor of the Graduation Major in Interior Design. Received the "Merit for Excellence in Higher Education" medal, awarded by Universidade Candido Mendes Rector Magnificus, Mr. Candido Antonio Mendes de Almeida. Participation as a guest exhibitor in the Fazer Brazil Exhibition, held at the San Francisco Design Center in San Francisco, USA, in May. Release of the “Interiores Residências Homes - Rio de Janeiro” (Interiors, Residencies, Homes - Rio de Janeiro) by Publisher Viana&Mosley, under his curatorship. Participation in the "Talento Brasileiro" (Brazilian Talent) exhibition; release of the 2005 Dpot line with the presenting of the Bandeirola line, MUBE - Museu Brasileiro de Escultura (Brazilian Museum of Sculpture), São Paulo, in April. Participation in the 19th Brazilian House Museum Design Award exhibition of the Brazilian House Museum, São Paulo, with the Satelite table. Invited by the Brazilian Post and Telegraph Corporation to be part of the "Design Brasileiro" (Brazilian Design) series of stamps containing the image of the Bandeirola line. Project for Pavilhão do Brasil (the Brazilian Pavilion) - APEX for The BIG 5 International Building & Construction Show in Dubai, in October. Coordination and participation in the seminar "20 anos Casa Cor - Casa Cor Rio de Janeiro" (20th anniversary of Casa Cor) seminar, Senac Rio, in October. Awarded the first place in the Interior Architecture category for residential and commercial purposes, with the Tenkai restaurant, in the 44th Institute of Architects of Brazil - IAB-RJ Annual Awards. Awarded the 1st place for the Brazilian Southeastern Region in Deca - "a dream bathroom" in the commercial category, with the Tenkai restaurant restroom. Participation in the "Talento Brasileiro" (Brazilian Talent) exhibition in the release of the 2007 Dpot line with the presenting of the ZIG bench/bookcase, MUBE - Museu Brasileiro de Escultura (Brazilian Museum of Sculpture), São Paulo, in April. Release of the book “Interiores Lojas e Restaurantes - Rio de Janeiro” (Interiors, Stores and Restaurants - Rio de Janeiro) by Publisher Viana&Mosley under his curatorship. Project for the Pavilhão do Brasil (the Brazilian Pavilion) - APEX for The BIG 5 International Building & Construction Show in Dubai, in November. Creation of the STANDS for brands BBM, Coca-Cola at the event held in Instituto Ethos, Carlton/Dunhill SOUZA CRUZ, and Unique SOUZA CRUZ in São Paulo, SP. Concept, architectural design and curatorship of the Brasil Casa Design Exhibition - APEX in Buenos Aires, Argentina, in September. He participated in the Missão Prospectiva (Prospective Mission) - APEX in Central America, in the cities of San Jose, Costa Rica, Panama City, Panama and Guatemala City, Guatemala. He opened a department specialized in shopping malls, in which he develops revitalization and new enterprises projects, working with several groups in the field such as the Buaiz group and BRMalls. 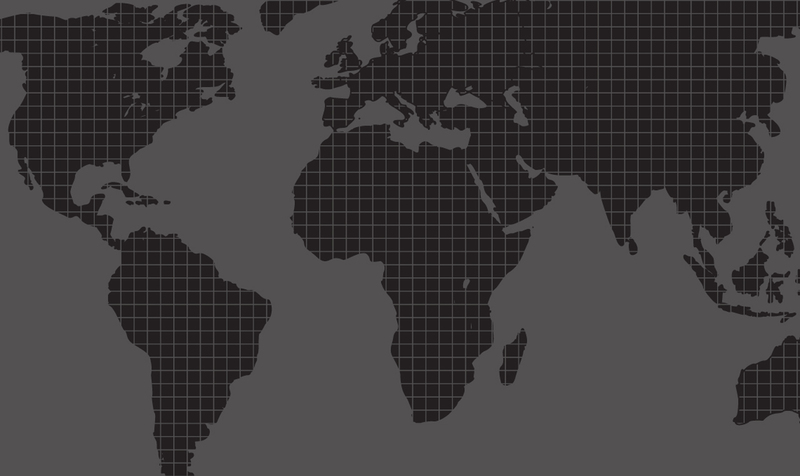 Project for Pavilhão do Brasil (the Brazilian Pavilion) for the EXPOCOMER fair in Panama, in February. 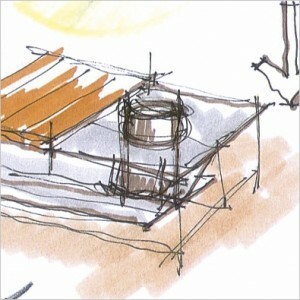 Concept, architectural design and curatorship of the Brasil Casa Design Exhibition - APEX in Panamá City, Panamá, in July. Project for Pavilhão do Brasil (the Brazilian Pavilion) - APEX for The BIG 5 International Building & Construction Show in Dubai, in November. Received honorable mention in the Interior Architecture and Design category with the Novo Ambiente store, located in the district of Barra da Tijuca (Rio de Janeiro), in the 47th Institute of Architects of Brazil - IAB-RJ Annual Awards. Received the award from O GLOBO Magazine - Environments with the Best Solutions for Sustainability, in the Most Original Idea Category, with the Greenhouse environment of the event Casa Cor Rio de Janeiro. 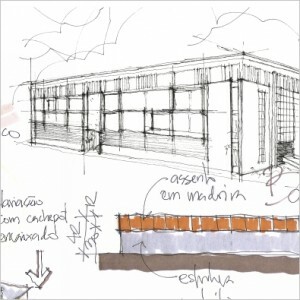 Taught, as a guest professor, the Interior Architecture Specialization major of the University of Fortaleza - UNIFOR. Participation in the "ORNARE - 2 ONE" event with the JARDIM table, developed along with artist Nelson Leirner, Brazilian Sculpture Museum - MUBE, São Paulo, in November. Received an Honorable Mention in the National Contest of Architecture for choosing the Santa Catarina Public Library project, in partnership with Azul Arquitetura/Lia Siqueira, in March. Participation, with the MU bench, in the "Puras Misturas" (Pure Blends) exhibition, at the Eng. Armando de Arruda Pereira Pavilion, São Paulo, in April, under the curatorship of Adélia Borges. He became a Professor in the Business Management course for FGV Management Architecture Offices, for the subject Architecture Project Development, at Fundação Getúlio Vargas. 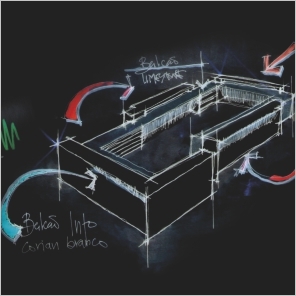 Nomination for the State of Rio de Janeiro Cultural Award in the category Architecture. 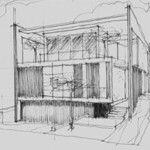 Concept, architectural design and curatorship of the Brasil Casa Design Exhibition - APEX in Luanda, Angola, in November. Participation, with the MU bench, in the exhibition "In praise of diversity - Benches from Brazil" in Droog Design, Amsterdam, in September, curated the Adelia Borges. Participation, with the PARANÁ bench and the ZIP tray on the "Rio + Design" exhibition, Museum of Modern Art (Museu de Arte Moderna - MAM), Rio de Janeiro, in November. He won the contest Pró-Design - Design Support Fund, promoted by the city of Rio de Janeiro through Instituto Rio Patrimônio da Humanidade (Rio, a World Heritage), in the category Preparation of content and publishing of new material, with the project for the "Conversas Ilustradas - Sergio Rodrigues" (Illustrated Talks - Sergio Rodrigues) book, developed together with the architect Lia Siqueira. 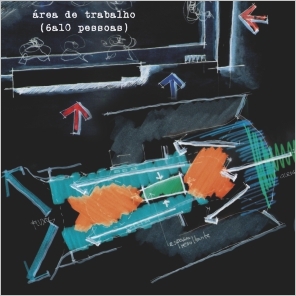 He released the book "Illustrated Conversations - Sergio Rodrigues", co-written with architect Lia Siqueira, and published by Editora 2+Produções Culturais (Publisher). Participation with the PARANÁ bench and the ZIP tray in the "Rio + Design" exhibition, Fuori Saloni, Milan, in April. Participation with the FESTAS POPULARES (FOLK FESTIVALS) table in the "Rio + Design" Exhibition, Jockey Club, Rio de Janeiro, in October. Received the O GLOBO Magazine - Best Use of Wood in the Bilheteria (Box office) environment of the event Casa Cor Rio de Janeiro. Received, at the 52nd Annual Awards of the Institute of Architects of Brazil - IAB-RJ, the first place in the Interior Architecture, Design and Urban Furniture category with the restaurant Kotobuki. Received an award in the Theoretical Production category, as well as the Special Award of the 52nd Annual Awards of the Institute of Architects of Brazil - IAB-RJ for the book "Conversas Ilustradas - Sergio Rodrigues", co-written with the architect Lia Siqueira. Received an award from the Brazilian Association of Architecture Offices - Asbea - RJ, in the Corporate Architecture category with the store Novo Ambiente, Ipanema. Won the creative bidding promoted by the Roberto Marinho Foundation, for the development of the internal areas of Museu do Amanhã (Museum of Tomorrow), a project by the architect Santiago Calatrava. Participation with the STILL HI modular shelf in the "Rio + Design" exhibition, Fuori Saloni, Milan, in April. 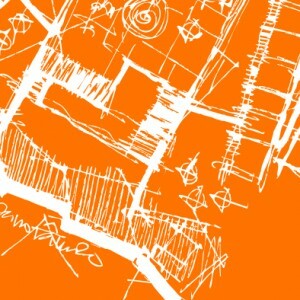 Participation in the IDA – Art RIO series of lectures, with the lecture "Espaço e Objeto: relações de ocupação e memória" (Space and Object: relations of occupation and memory), along with artist Angelo Venosa, held in September. Participation with the MU bench in the "Rio + Design" Exhibition, Jockey Club, Rio de Janeiro, in November. Created the design of the Museu do Amanhã's internal areas, a project by architect Santiago Calatrava for the Roberto Marinho Foundation. Participation in the exhibition at the 20th edition of the Salão Design Award with floresta sideboard, receiving an honorable mention of professional modality, category furniture for living room and dining room. Participation with the MU bench in the exhibition "Design Dialogue - Poland Brasil", in the MAM - Museum of Modern Art in Rio de Janeiro, in June. Participation with Floresta sideboard at the Salão Design awards show at the High Design Home & Office Expo, in São Paulo, in August. Participation in the II Symposium on New Technologies and Innovations of AsBEA / RJ as a speaker, in September. Participation in the exhibition of the 30th Design Award Museu da Casa Brasileira, São Paulo, with Museum Bench, winning Honorable Mention in the furniture category. Participation with the Construção line at the exhibition BE BRASIL MILAN 2017, Fuori Salone, Milan, in April. Participation in the exhibition at the 21st edition of the Salão Design Award with the Construção line, receiving an honorable mention of professional modality, category social spaces, in June. Participation with the Construção line at the Salão Design awards show at the High Design Home & Office Expo, in São Paulo, in August. Participation in the exhibition Mercado Rio + Design, in Armazém 3 - Píer Mauá, during Design Rio Week, in September. Opening of the office Ivan Rezende Architecture in Portugal. Participation with the Vazio line and the Floresta line at the exhibition exposição “Móvel Capixaba Passado e Presente”, in Vitória - Espírito Santo, in July. Participation with the π bench in the "Rio + Design" exhibition, in the MAM - Museum of Modern Art in Rio de Janeiro, in September. Execution of a signed shop window of CasaShopping Arquivo Contemporaneo Store in honor of Sergio Rodrigues, along with architect Lia Siqueira, in September.